Welcome to all BL customers to know about the Banglalink 39Tk Recharge Offer. 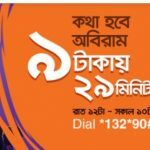 Bangladeshi biggest and most popular telecommunication company Banglalink has come to their valuable prepaid and postpaid customers are eligible to enjoy BL 39Tk recharge offer. Now all customers 39Tk recharge and enjoy to 0.5 paisha any BL numbers and 1 paisha call rate to others any local numbers. The customers who want to know this special recharge offer with exciting call rate offer. No tension, just read this full article to get a clear concept. In this bellow, I will share to all details about the 39Tk recharge offer. 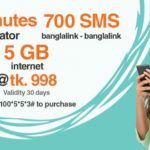 Banglalink all selected prepaid and postpaid customers are eligible to enjoy this special offer. To activate this special offer, customers need to just recharge 39 Taka. After recharge this amount, customers will enjoy special tariff of 0.5paisa/second (Banglalink-Banglalink) & 1paisa/second (Banglalink-other local operator) shall be activated. Customers also will enjoy 1 second pulse. Validity this offer in 3 days. To stop this offer, customers need to dial USSD Code *166*39#. 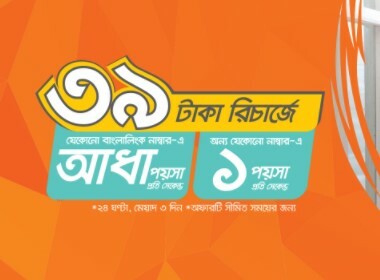 Now all customers got a clear concept about the Banglalink 39Tk Recharge Offer details info. If you want to know more or face an problem to activate this offer, just comment the box. We will answer as soon as possible with a correct answer.